I am a Roman Catholic Priest of the Archdiocese of Santa Fe. This is where I share some things I write. There are so many priest blogs. 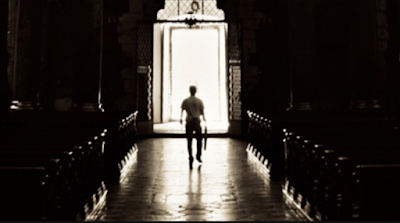 It is not an easy time right now to be a priest or one studying to be a priest. The Church is being not only humbled but humiliated by the sins of Her own ministers. Countless innocent priests are looked at with suspicion if not outright hatred because of the sins of their guilty brothers. I praise God in this not to downplay the depravity of my brothers’ crimes or ignore my own frustration, anger, and sadness at every bit of this awful situation. I praise God because the truth always sets us free and the Cross always conquers. The fact is, I am a priest of Jesus Christ. The natural habitat of a priest of Jesus Christ is the Cross – condemned for someone else’s sins; cursed reviled, mocked, and scourged – all willingly and for the sins of others. Why? Because I am a priest of Jesus Christ. Because the priesthood into which I was ordained means that the monsters who committed these crimes or covered up for those who did are my brothers. I benefit every day from the love people have for their priests because of truly saintly ones who have gone before me; I must also willingly suffer the distrust, suspicion, and hatred because of the sinful ones who have gone before me as well. At a deeper level, though, to borrow a point from Fr. Mike Schmitz: I can say, I never did anything to deserve this, but you know what, those kids didn’t do anything to deserve what happened to them either. The victims - those members of the Church hurt in unspeakable ways by those who were ordained to care for them. They didn’t deserve what happened to them, and the burden they carry and pain they experience are incomparably worse than being judged for the sins of another. Why am I writing this to you? So that, in the midst of present chaos in the Church and the world, you may not lose hope. There are snakes in the priesthood you hope to enter. But there are also saints. For every Judas, there are eleven other apostles who strive to be faithful. On the darkest day the world has ever seen, at the very beginning of the priesthood of Jesus Christ, one betrayed, one denied, and nine fled. Only one remained. It is now, at this moment of crisis in the Church – uncertainty regarding every level of her leadership – that we are all given the opportunity to choose what kind of man and what kind of priest we want to be. We’ve seen those who have betrayed, and what they’ve done should make us sick to the stomach and furious to the very depths of our souls. We’ve all at one point or another been those who deny the Lord or run away from our faith when times get hard and we get scared. I thank God that, in His mercy, He accepts us back and replaces our cowardice with courage, just as He did with His original disciples. 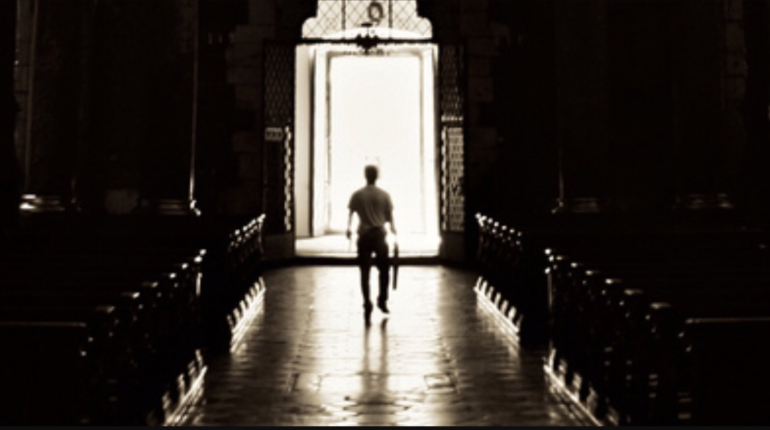 At this crucial moment in the life of the Church, though, let’s be the one who remained. Let’s be the ones who remain. What does that mean? Just don’t leave the Church? No. So much more. To remain as the Beloved Disciple remained is to cling to Christ when He doesn’t seem all that powerful, to be associated with Him when He is not all that popular, to suffer alongside Him as His Body hangs, bleeding and battered, on the Cross. To remain with Him means to be close to His mother who weeps for the members of her Son’s Body so deeply wounded by those who were meant to represent Him. To remain at the Cross with our Crucified Lord and our Sorrowful Mother. For one thing, it means being still when the world around you is chaos. It means spending more time in the chapel than in the blogosphere. It means being more filled with the ancient wisdom of Scripture than the hot takes and hastily scribbled opinions of this writer or that. (Might I suggest making your way through the books of the prophets during this particularly turbulent time? Doing so has been a great help to me in these weeks). It means refraining from jumping to conclusions prematurely, rather choosing to reflect long and hard before coming out with confident statements regarding someone’s innocence or guilt, recognizing that almost always, more facts must come to light before a good judgment can be made. Accusations this public and far-reaching are far too serious matters to decide without a truly thorough investigation. Thankfully, it is neither your job nor mine to conduct the investigation. So what is our job? Remain at the uniquely uncomfortable place that is the foot of the Cross – a place where we can say both that justice demands a thorough and transparent investigation of everyone implicated in the McCarrick scandal and that charity demands that we withhold condemnation until the full truth comes out. So, at the foot of the Cross we remain. And remember, who do we find there? Our bleeding Lord and our weeping Mother. Company infinitely better than either extreme of the Catholic blogosphere; consolers incomparably more effective than the “comfort sins” we may be accustomed to turn to when life gets overwhelming; a King and a Queen we can trust in totally when our faith in our own leaders has been shaken. While we don’t want to become totally distrustful of those tasked with leading us, we have to be honest about the fact that in this current climate of “his word or mine”, we don’t know who or what to believe anymore. Believe this: The King has nails in His hands and the Queen a sword in her heart. You can trust them. You can trust them because they are hurting as much as you are. Remain with them. Suffer with them. You have, I’m sure, been enjoined in these days to “defend the Church”. I ask you to do the same. Defend the Church. But what does that mean? Defend the institution and its structures? Defend the hierarchy and its failures? Attack the media for its chronic and seemingly willful misreporting on the issue? Point out to the world that this is a sickness that reaches well beyond the confines of the Catholic Church? No. Those discussions all have their time and place, and it is not here and now. How do we defend the Church here and now? Defend the victims. Never forget that before the Church is an institution, it is a believer. And thousands of believers have been wounded. The Church’s reputation has been wounded. So have so many of Her children. Shed your tears for the children rather than the reputation and, by the grace of God, both may be healed. It is now more than ever that the Church needs you. But it needs you to be the saints God invites you to become. We no longer have time for mediocrity, for settling, for compromise. We need men who are willing to give over every part of themselves to the work of bringing Jesus into a sick world, working within a Church that caught the world’s worst sickness. We need men who – imperfect though they be – are willing to remain firmly planted between the Crucified Christ and His Sorrowful Mother and thus become the new generation of priests God raises up to heal the wounded in His Church. We need a generation of priests who will restore the faith and trust in the people of God that the priesthood is the love of the heart of Jesus. We need a generation of priests as tender in their love for the Lord and His beloved people as they are uncompromising in their battle against sin – in themselves, their brothers, and the Church at large. 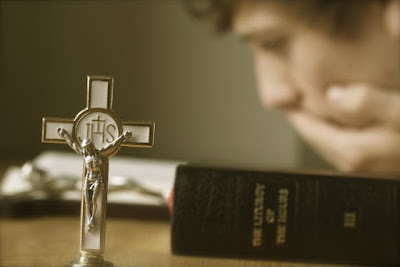 We need a generation of priests to lead us to our only true hope for salvation: Jesus Christ. And we need you to be that generation. It’s not by chance but by providence that God has called you into formation at this exact time and not another. Because of this, you can trust that He will give you the grace to do what we need you to do and be who we need you to be. Rise up to the challenge. Work with the One who is forming you into men capable of being the priest-saints that will bring Christ into countless broken lives desperate for His love. Pray with all you’ve got. Study with all that’s in you. Learn to serve. Learn how to take care of yourself, physically and spiritually. Build friendships that support and strengthen rather than enable and cover up. Let God use the seminary to form you into the saints we need for these troubled times. And in the midst of it all, know that we love you, that we’re praying for you, and that the God who calls you to a great and noble vocation will carry you every step of the way in living it out, if you let Him. Many of us are disgusted by the sexual abuse described in the Pennsylvania Grand Jury Report and alleged of a former cardinal of the Church. Many of us are heartbroken at the wounds that have been inflicted on thousands of victims. Many of us are angry and feel betrayed at the cover up and perpetuation of this abuse by leaders within the Church. Some are leaving the Church on account of all this. It’s as serious a question as we will ever ask ourselves, as the ramifications are eternal, for us as well as for those whose actions lead us to leave or stay. I can neither answer the question for any of you nor pass judgment on any who feel compelled to answer it in the affirmative. What I can do is answer it for myself, and to do so I must borrow my response from St. Peter in the Gospel we will hear at next Sunday’s Mass. In that Gospel we will hear the conclusion of Our Lord’s teaching on the necessity of consuming His Flesh and Blood to have eternal life within us. Were I to leave the Church, I would be leaving a corrupt Church for a corrupt Humanity. I would be leaping out of a leaky ship into the very shark infested waters into which it was sinking. No, I choose to stay in the ship and help fix the leak. Because, the truth is, humanity within the Church and humanity outside of it is cut from the same strange cloth. Every person with a heart beating in their breast is capable of ascending the heights of sanctity or falling into the depths of depravity. If this past year hasn’t shown this to us, I don’t know what will. No position or title guarantees sanctity, so we should always be wary of placing anyone on a pedestal, and yet more wary of what we are liable to excuse or ignore to keep someone perched unworthily atop of one. Conversely, no life of depravity is beyond the reach of God’s grace, so we must never despair of any brother or sister who seems distant from Our Lord - especially those who want nothing to do with the Church because of what her ministers have done. The heights of sanctity and depths of depravity, with every human heart found somewhere in between the two. It is providential, I believe, that the report of these abuses came just a day before we celebrated the Assumption of Our Blessed Mother into Heaven, because as we stared at the vile underbelly of the Church - which is shamefully no better than the vile underbelly of humanity itself - we desperately needed a glimpse of the Church’s glorious crown. We needed to know that the ugliness of the Church seen in these scandals doesn't compare to the beauty of the Church in Our Lady and the Saints. We needed to know the incomprehensibly broad spectrum that makes up the Church - with a bottom as sinfully low as all the rest of humanity, but with a top that reaches into Heaven itself. So I find myself between these two - the unspeakably shameful sinfulness of my brothers and the glorious sinlessness of my mother - and I cling with my broken self to this broken Church. Because there are good priests to balance the bad ones? No. Because there are faithful bishops to counteract the wicked ones? No. I didn’t become a member of this Church because of a good priest or a good bishop and I will not cease being one because of bad priests or bad bishops. The Church is more than priests and bishops. I cling to this Church because here, in the midst of all the sin, I find the only remedy for sin: Jesus Christ. Here and only here do I encounter both physically and spiritually the God who descended not into a neat humanity that had its act together, but a humanity that was, is, and ever shall be in desperate need of His salvation. Here and only here do I physically receive Him into my sinful self as the medicine it most desperately needs. To be honest, if I found a perfect Church, I wouldn’t be admitted. I wouldn’t make the cut. Or if I did, I would soon be found out as the one unacceptable sinner in the bunch and be asked to leave. I’d venture to guess that’s the same for all of us in this church today. So what do we do? Excuse the sins of these priests and bishops because we’re all sinners after all? Absolutely not. What we do is choose. Which side of the Church do we emulate: the vile underbelly or the glorious crown? Do we take up the call to ascend the heights of sanctity or just stand off to the side and decry the depths of depravity we have witnessed without doing anything ourselves to counteract it? Because, sadly, this is not the first great scandal the Church has seen. Since that first bishop to betray Our Lord did so with a kiss, each generation has seen its own Judases. And the only thing that has ever brought true healing and renewal to a sick Church in the wake of every scandal has been those willing to become saints - to cling to the Christ their fellow Christians betrayed, to let the light of sanctity dispel the darkness of depravity, to restore to the world the wounded witness of what the Church is meant to be. Because, let’s face it: the Church’s witness to the world right is not only wounded but shattered. And how many hearts that long for Christ will never encounter Him because of it? Will we allow that to happen? To have the deplorable actions of some within the Church be the only image the world has of it? Or will we take up the call to be the true face of the Church? The one that shelters the weak rather than prey upon them; the one that heals rather than wounds; the one that lets the Lord use it for good rather than use the Lord as a cloak for evil. While we make that choice in our hearts, I would like to address any of you who have ever suffered the trauma of abuse at the hands of anyone in your lives. I won’t pretend to know the depths of what you have been through and what you are going through, so I won’t expect you to heal on any sort of neat timetable. I won’t tell you what to do, how to do it, or when to do it. But I do want to make clear that your healing and your safety are more important than any reputation - Church leader’s, family member’s, teacher’s, coach’s, anyone’s. Please don’t let concern for someone’s pedestal keep you from seeking whatever help, healing, and justice you need. For any of you who will be trusted with a disclosure of abuse, I beg you - do not let pedestals and concern for reputation make you immediately disbelieve or dismiss. Truth is more important than reputation, every time. For all of us, where do we go from here? The only place it makes sense to go when we are angry, confused, and saddened by what our brothers have done: we run into our mother’s arms. We jump in Mary’s lap and we tell her what our brothers have done, how angry we are about it, how truth be told, we don’t even know how to feel right now. Dearest mother, We are confused, saddened, and angry at the awful things that have been done by our brothers, by members and representatives of our own family, the Church. We come to you in this state, needing a mother's love and consolation. Help us to cling to Christ above all else, to go directly to Him in His flesh and blood and let Him make us saints. We offer to you all victims of abuse, that you may console them and heal them as only you know how. We pray for all abusers, that you may lead them to repent of their sin, do penance, and convert back to Christ. We pray for our Church, that she may heal from these wounds inflicted by some of her ministers and continue to be the place where fallen humanity may encounter Christ, its savior.